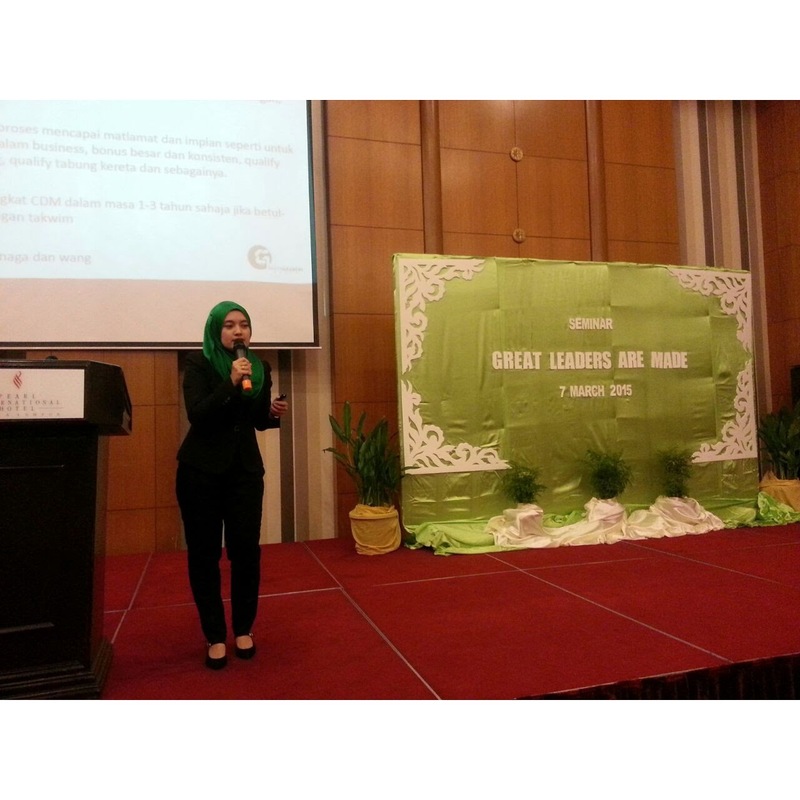 The seminar was held last month at Pearl Interational Hotel, Petaling Jaya. 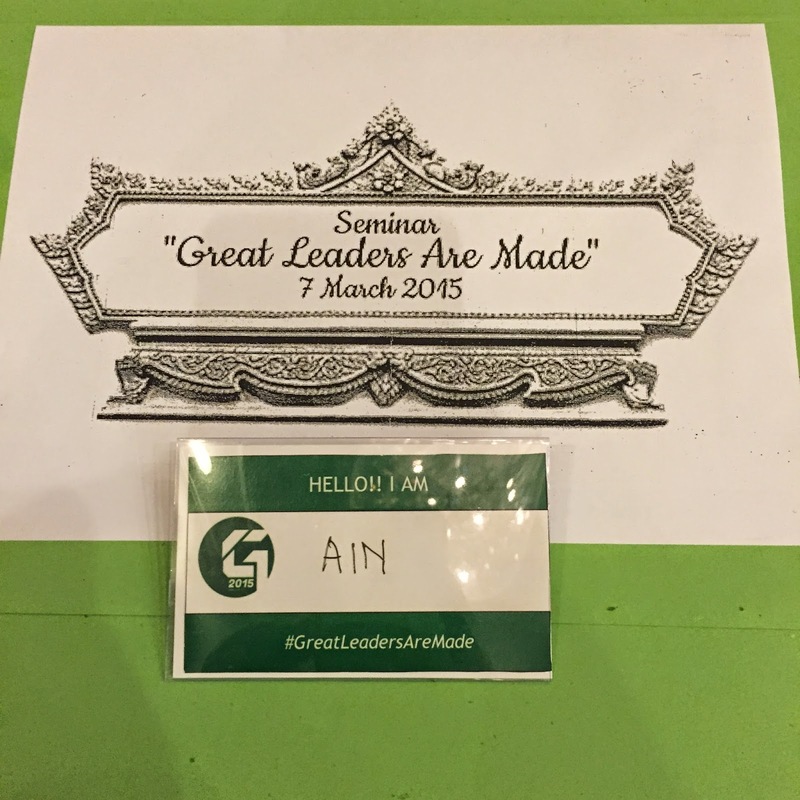 More than 100 Glampreneurs from all over Malaysia even Brunei and Singapore attended the seminar. 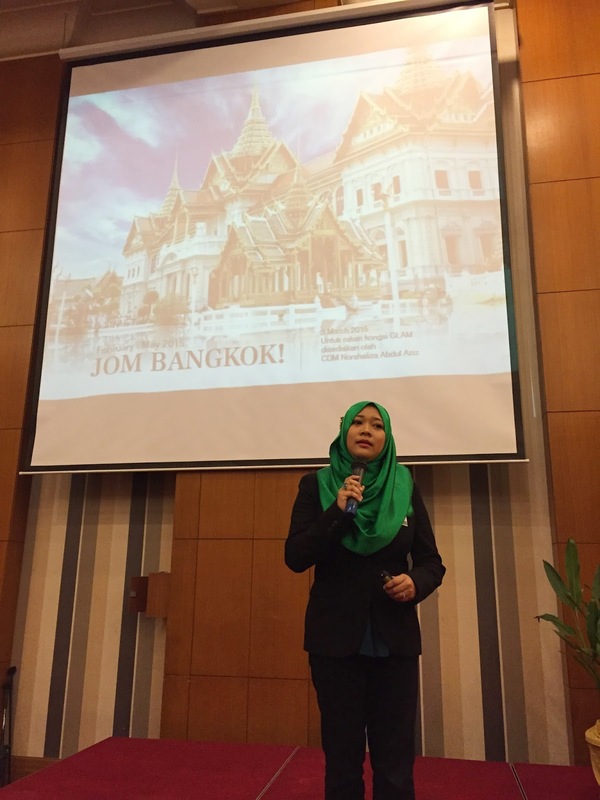 Yeah everyone is super excited with Jom Bangkok Free Trip! 1000 tickets for all Hai-O entrepreneurs to be grab. Free trip means all are FREE!! Siapa yang tak nak kan benda free. Melancong pula tu. Teruja!! Selfie dulu before start. 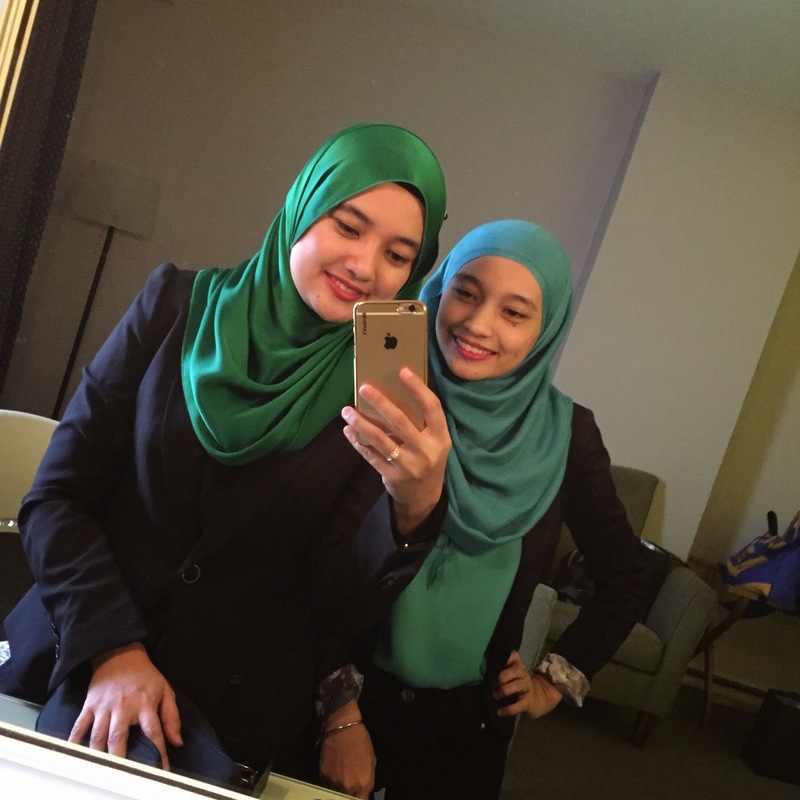 Bagus hall ni ada mirror yang besar untuk kami semua selfie. Oh ya. Our theme was green and black. Look so fresh kan? Love it! 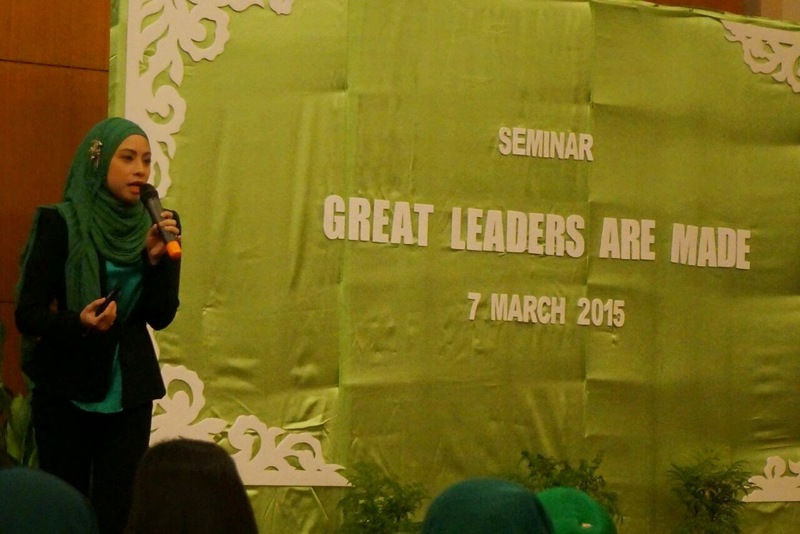 Me on stage as the first speaker for that day. Alhamdulillah. 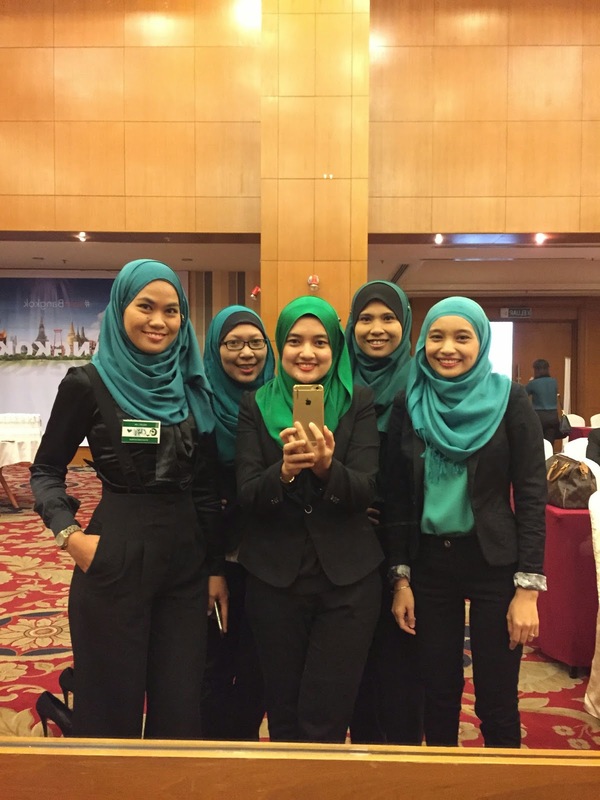 From this seminar, our objective is to convey the message to all glampreneurs on our activities, plan and action plan, vision and mission for 2015. Untung berada dalam kumpulan yang kukuh dan membantu antara satu sama lain. 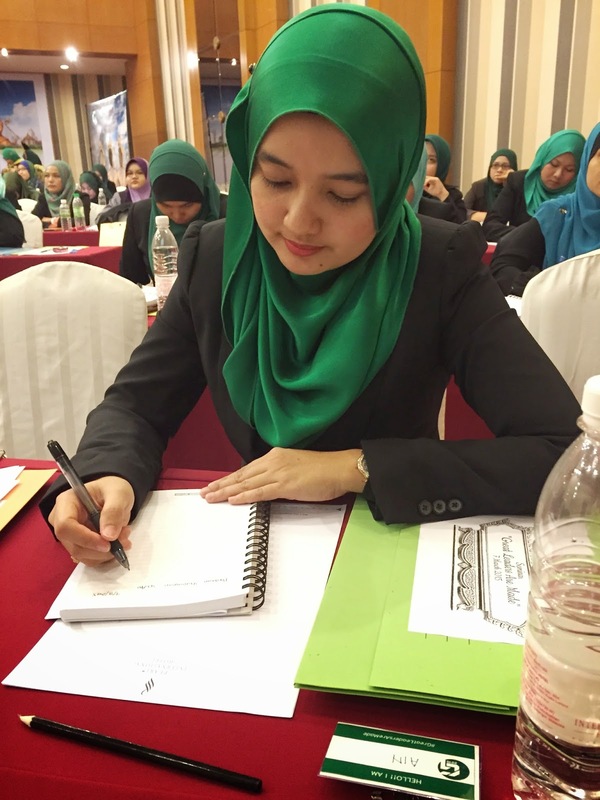 Ilmu diberi percuma, latihan intensive diberi secara berterusan oleh mentor-mentor berpengalaman dalam bidang network marketing. 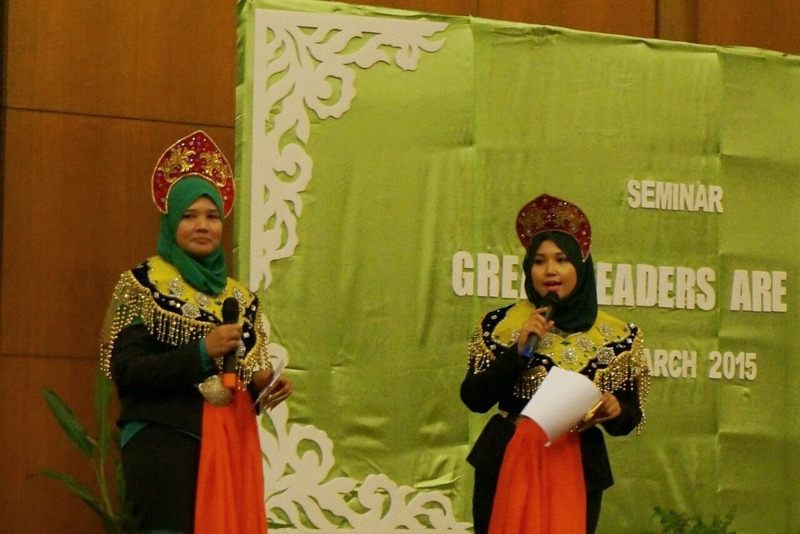 Selain daripada itu di Green Leaders Academy Malaysia (GLAM), we share and teach the technical knowledge on how to run the business in every aspect. So if you are in GLAM, you are in the right team! 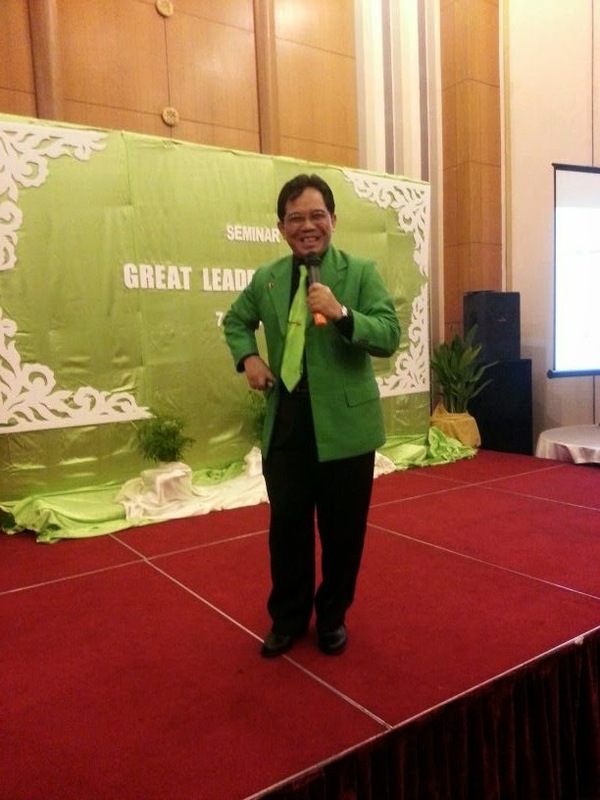 Special for that day, we had Dr HM Tuah Iskandar for motivation slot. He purposely pose like that. Hehe. Our emcee from Pattaya. 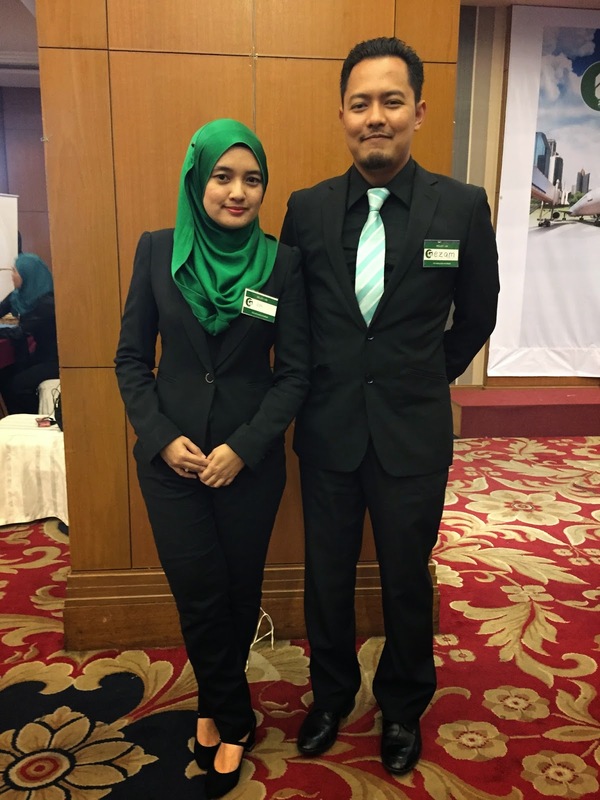 DDM Yong & my partner DSM Syikin Salleh. Bersungguh diorang nak bawa mood Bangkok! Yang berusaha. Suami saya. Mr photgrapher. Through thick and thin. Tulang belakang saya. With my dear mentor and bff CDM Shaliza Aziz. 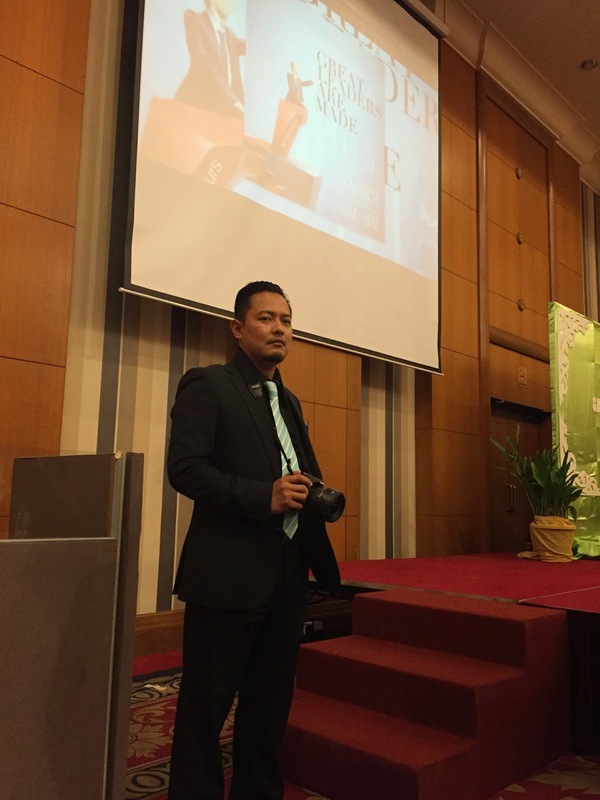 Ex-banker turn into 5 figure income entrepreneur. I am following her steps closer and closer. Yesh can't wait for the time o become a full time entrepreneur. 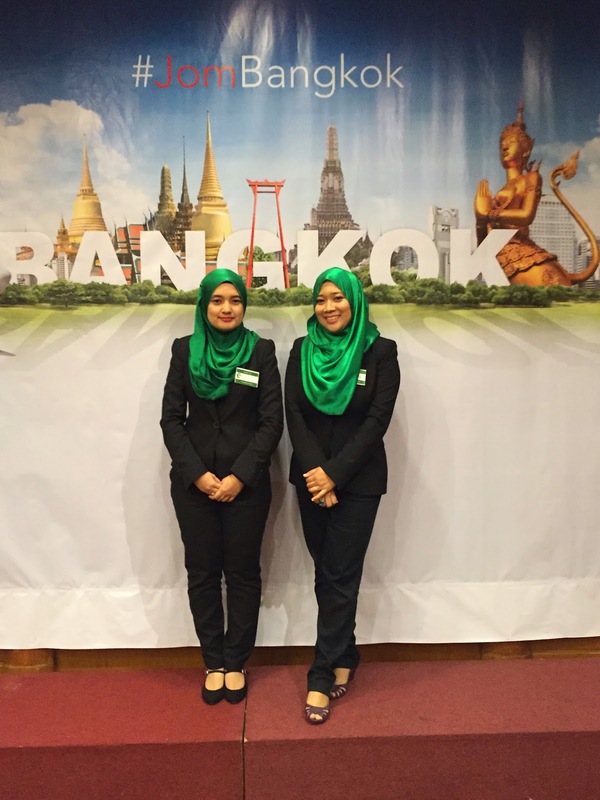 Our partners semua teruja nak ke Bangkok secara percuma! Praktis posing di Bangkok. Nanti Ieja tak boleh lompat bintan okay! All of us, the Glampreneurs!! Thnak you to all AJKs for organizing the seminar, in overall we had so much energy, motivation and knowledge from the seminar and ready to rock it on!